Donald Ray Williams (May 27, 1939 – September 8, 2017) was an American country singer, songwriter, and 2010 inductee to the Country Music Hall of Fame. He began his solo career in 1971, singing popular ballads and amassing 17 number one country hits. His straightforward yet smooth bass-baritone voice, soft tones, and imposing build earned him the nickname: "Gentle Giant" of country music. In 1999, Parton was inducted into the Country Music Hall of Fame. 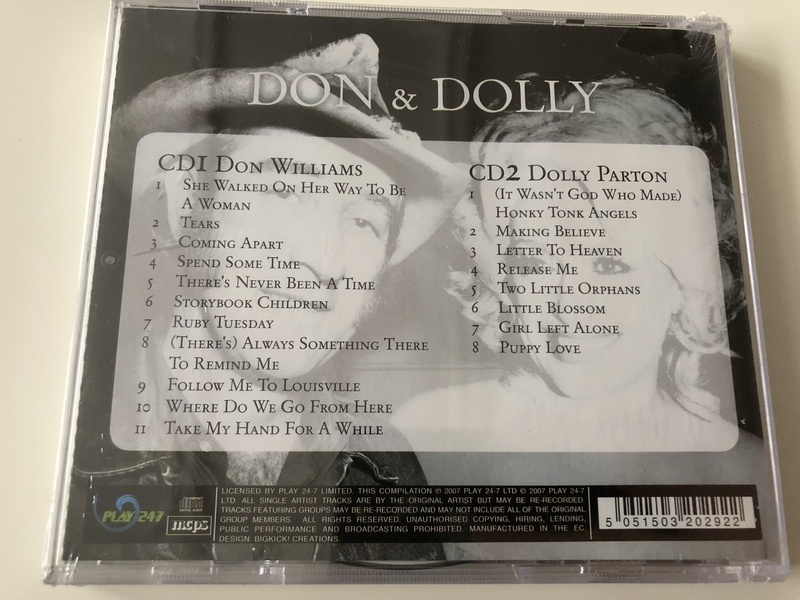 She has composed over 3,000 songs, including "I Will Always Love You" (a two-time U.S. country chart-topper for Parton, as well as an international pop hit for Whitney Houston), "Jolene", "Coat of Many Colors", and "9 to 5". She is also one of the few to have received at least one nomination from the Academy Awards, Grammy Awards, Tony Awards, and Emmy Awards. As an actress, she has starred in films such as 9 to 5 (1980) and The Best Little Whorehouse in Texas (1982), for which she earned Golden Globenominations for Best Actress, as well as Rhinestone (1984), Steel Magnolias (1989), Straight Talk (1992) and Joyful Noise (2012). 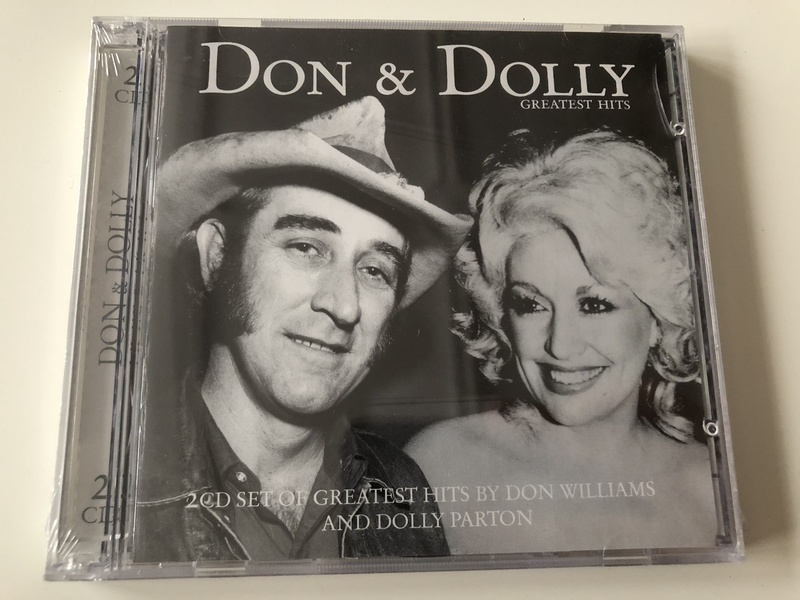 Click the button below to add the Don & Dolly Greater Hits / 2 CD Set of Greatest Hits by Don Williams and Dolly Parton / Audio CD 2007 / Famous Country Music to your wish list.